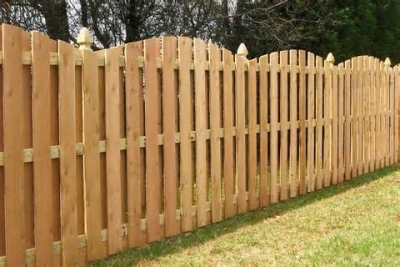 At Pyle Fence, we have delivered custom wood fencing solutions throughout Howard County, Caroll, and Anne Arundel County. Whether you’re looking for a wood fence to install in your home or at your place of business,trust our team of fence contractors with more than 75 years of experience in the business. We have handled all kinds of residential, commercial,and industrial fence projects and can help you make your dreams a reality! Our wood fences are made of natural and durable materials that can secure,protect, and frame your structural property. Whether you’re looking for a wooden fence for a home or business, we can craft a custom solution to suit almost any project or budget. Call us at (410) 426-8319 for a free estimate and let our experienced fence contractors start building the wooden fence you’ve always wanted!